Our review: Straw in color, this wine has aromas of tropical fruit, vanilla, and sweet spice. Very flavorful on the palate, there's an initial sweetness that is rapidly balanced by a moderate acidity. The characteristic fruit flavors tend to dissipate into the finish, which is lengthy but otherwise rather unremarkable. 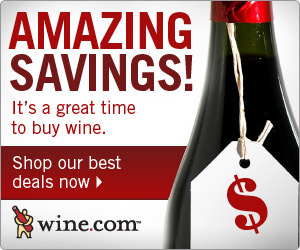 Our rating: This is a nice wine to serve as an aperitif or with light appetizers. It's not overly complex but does seem to bring out the key notes of each of its component wines. It's certainly one that your guests will want to talk about, as it will probably be perceived slightly differently by everyone. It is our first experience with this proprietary blend, and we rate it Above Average, nearly Excellent. Taste profile from the winemaker: "Shows a brilliant entry of honeydew melon aromas, and fresh minty qualities reminiscent of a Caribbean Mojita. Tropical fruit cocktail flavors are perfectly balanced with the palate-cleansing acidity that lingers to a wonderfully long, bright finish. The soft, round mouth-feel along with a touch of sweetness is perfectly balanced with the acidity to deliver a palate cleansing freshness to pan-Asian cuisine, spicy Thai, or as a cocktail aperitif." 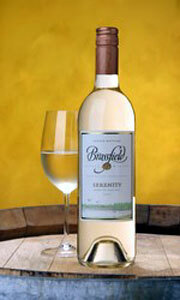 Winery website: Brassfield Estate Winery.